Fans are good for a number of things. They may be opened quickly and thrust in front of the face for dramatic effect, as evidenced in Madame Butterfly. They may be used as weapons to beat your enemies to a pulp, as demonstrated in the equally critically acclaimed Mortal Kombat. They may be hung on the wall as festive decorations, as shown by our mother in law in her dining room. 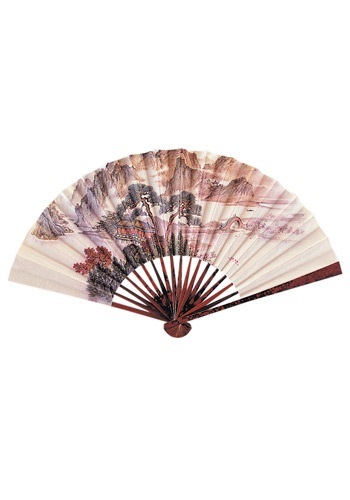 We even hear tell that they can be used as fans! Our Japanese Fan is inspired by traditional designs courtesy of the same people who brought us sushi, Jujitsu, and Godzilla. If you’re sporting a Japan inspired costume this year or are looking at an unseasonably hot weather forecast, consider slipping this little number into your pocket so you’ll be ready for anything!